Office Star offers an elegant and dedicated piece of furniture for your office room, conference or home. This deluxe task chair with air grid seat and back and pneumatic seat height adjustment provides top level comfort. Wheel carpet casters fixed to nylon base are meant for easy moving to desired places. Seat Height: 18" - 22.25"
Limited lifetime warranty from Office Star. 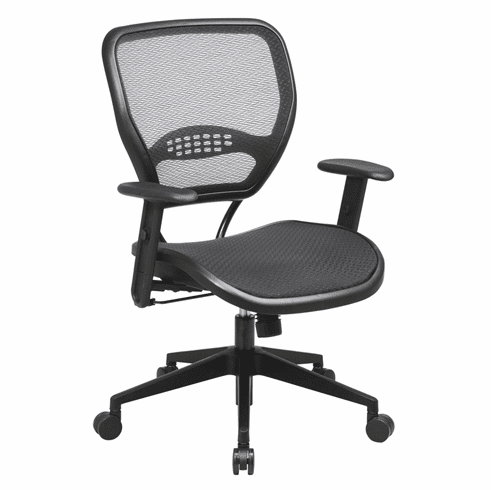 These mesh task chairs normally ship within 2-3 business days from our CA warehouse.